Chines PC and handset maker, Lenovo has launched, the successor of Lenovo A7000 Plus as Lenovo A7000 Turbo in Indian market priced at Rs 10,999 in Matte Black colour which is available through Lenovo official online store. It will counter Samsung Galaxy J7 and HTC Desire 626G. The all new Lenovo A7000 Turbo supports Dual-SIM(MicroSIM), 4GLTE, 3G, GPRS/ EDGE, Wi-Fi 802.11 b/g/n, GPS/ A-GPS, Micro-USB, and Bluetooth with Speed: LTE 150Mbps (DL) / 50Mbps (UL) comes with a bigger 5.5”-inch Full HD (1080×1920 pixels) IPS display with a pixel density of 401ppi for superior gaming experience and picture quality while fastest Octa-core MediaTek (MT6752) SoC processor clocked at 1.7GHz and latest Android 5.0 Lollipop) with 2 GB RAM, 16GB Internal memory and 32GB expandable memory promising blazing multi-tasking. Lenovo A7000 Turbo also offers you dual-powerful camera which includes a 13-MP auto Focus Rear camera with Dual LED flash for shooting promising superior photography in low light and 5-MP front camera best for video calling and selfies. Lenovo A7000 Turbo never let you down because of it’s powerful 2900mAh battery with Quick Charge measures 152.6×76.2×7.99mm and weight 150gm while new Dolby Atmos audio technology is perfect for listening music promising talk time up to up to 39 hour 2G talk time and up to 16 hours 3G talk time including 11 days standby time. Check out Lenovo A7000 Plus VS Lenovo A7000 Comparison. 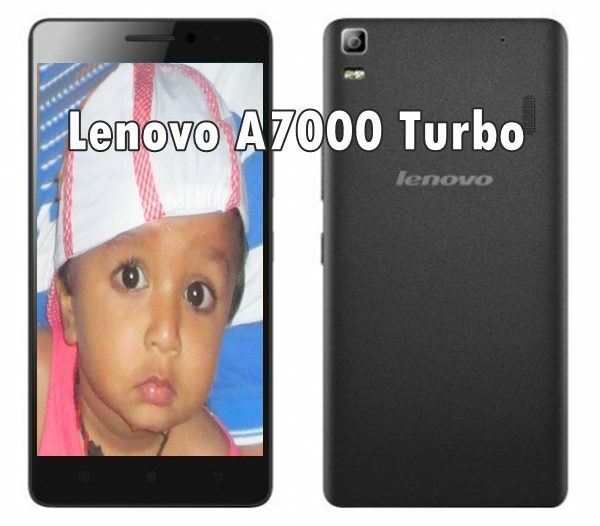 At last few honest word, Lenovo A7000 Turbo going to be the next choice of India.. What you think? Please be open to give your view.